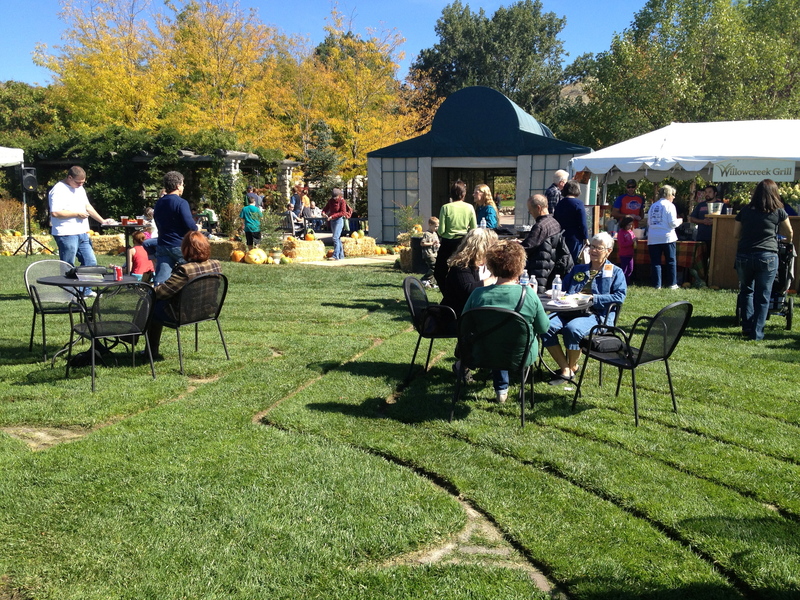 Boise’s Botanical Gardens ushers in fall with festive affair! | Oh, the Places We See . 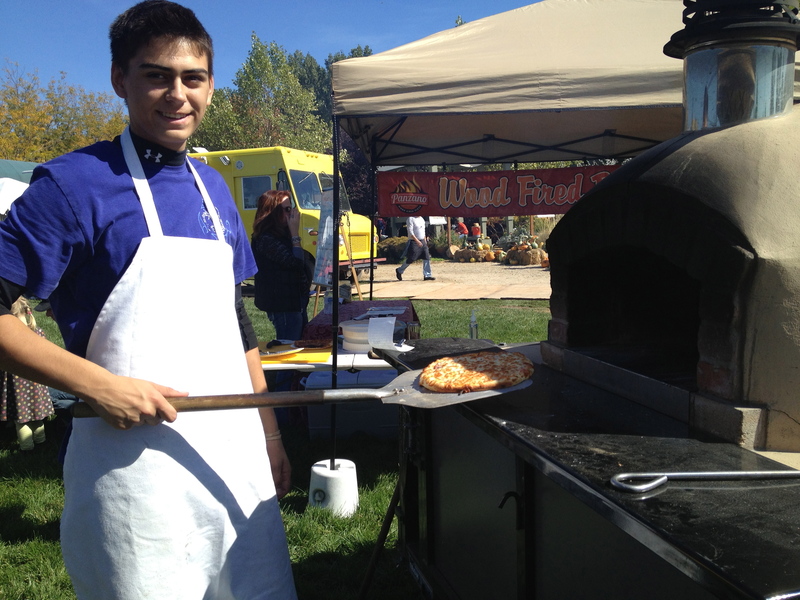 . .
Boise’s Botanical Gardens ushers in fall with festive affair! 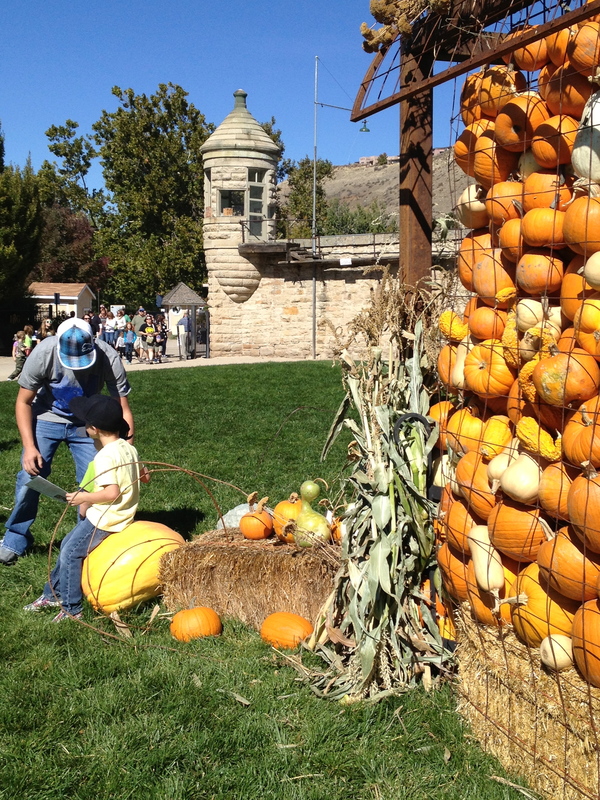 The Idaho Botanical Gardens on N. Penitentiary Road opened its gates for young and old excited to pose for pictures in a pumpkin patch, take a wagon ride, listen to music, or admire the fall colors while dining on gourmet fare from lined-up food trucks. It doesn’t get much better! 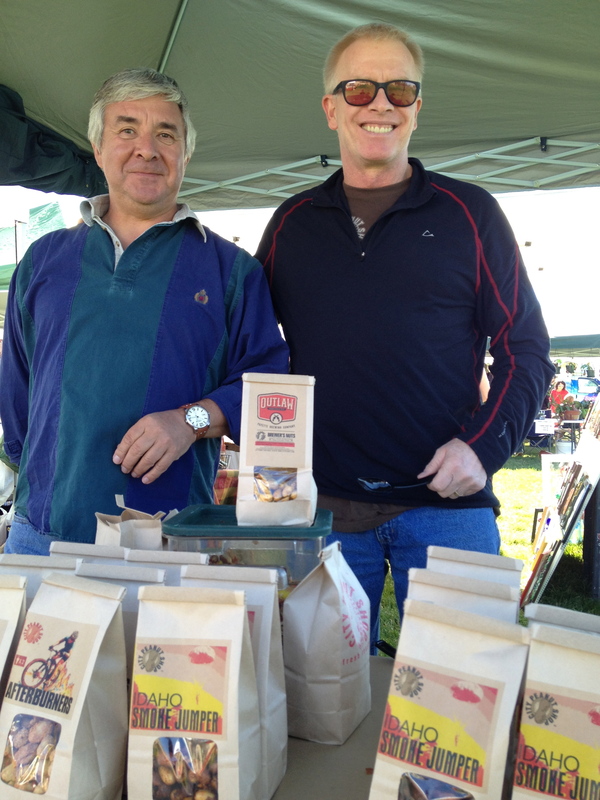 After that, I hit the vendor tents like the shopper I love to be. 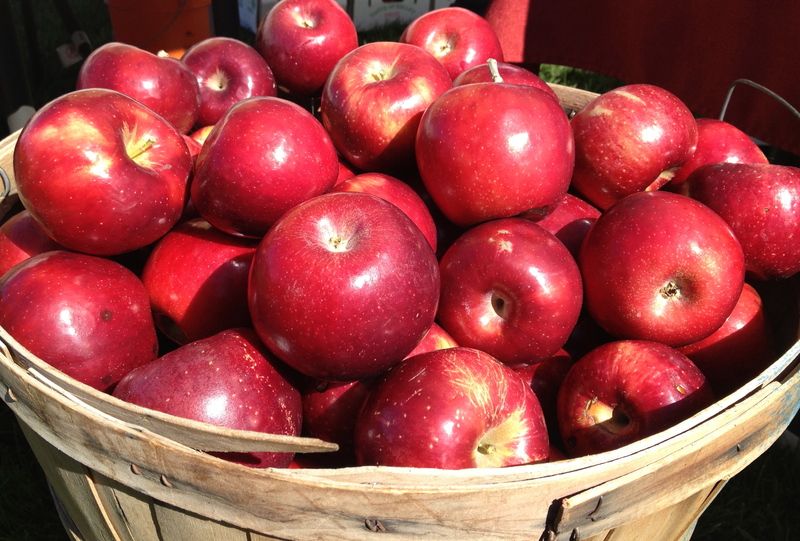 First stop, Kelley’s Canyon Orchard where this basket of luscious red apples cried Pick me! Pick me! 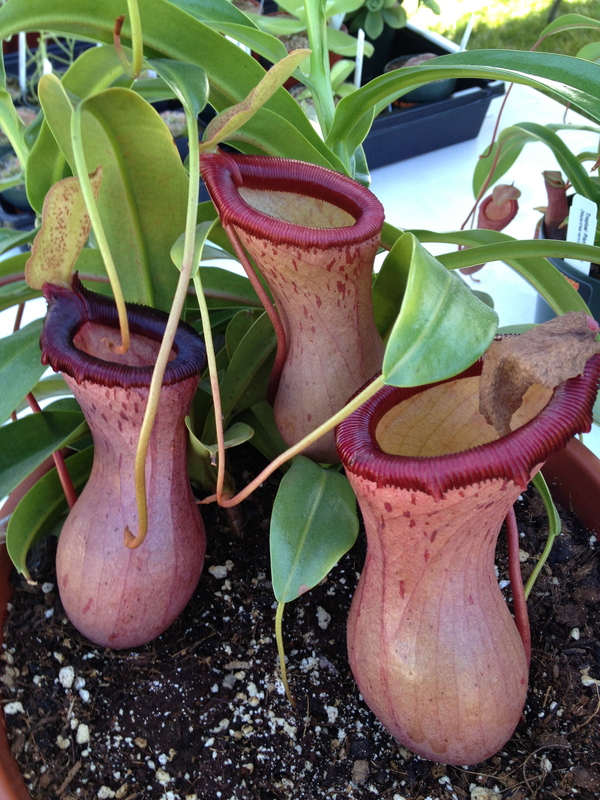 One booth sold tropical pitcher plants (Have never seen any so big!) and, judging from the crowd around them, neither had most of the guests. One of the happiest folks I met was this lady. She obviously enjoys spinning enough to give up a day to demonstrate her craft for others. 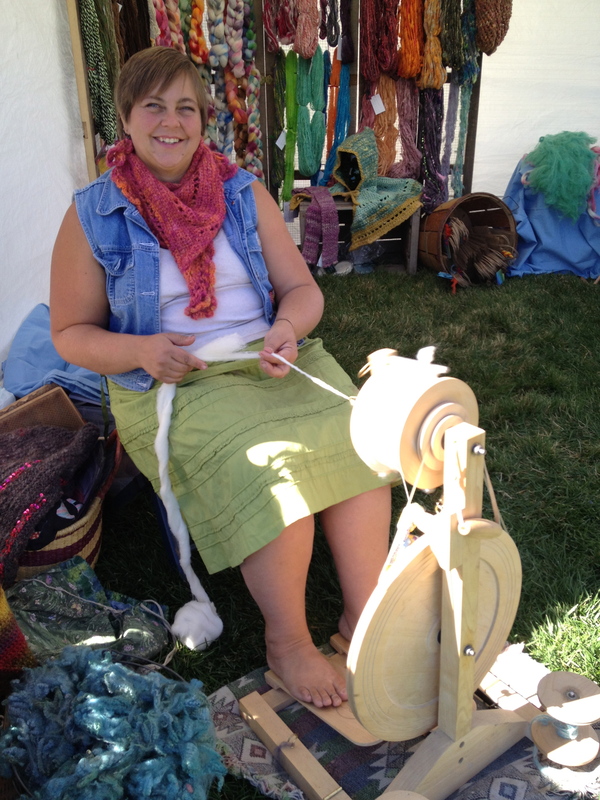 And there she was, pedaling barefoot and fashioning soft wool into yarn for folks to take home. 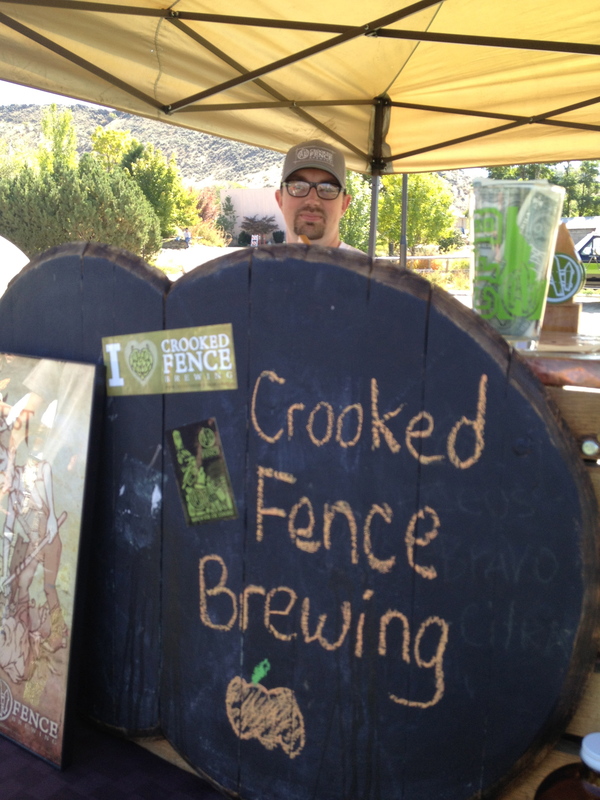 Local craft beers were available for washing down whatever you bought! 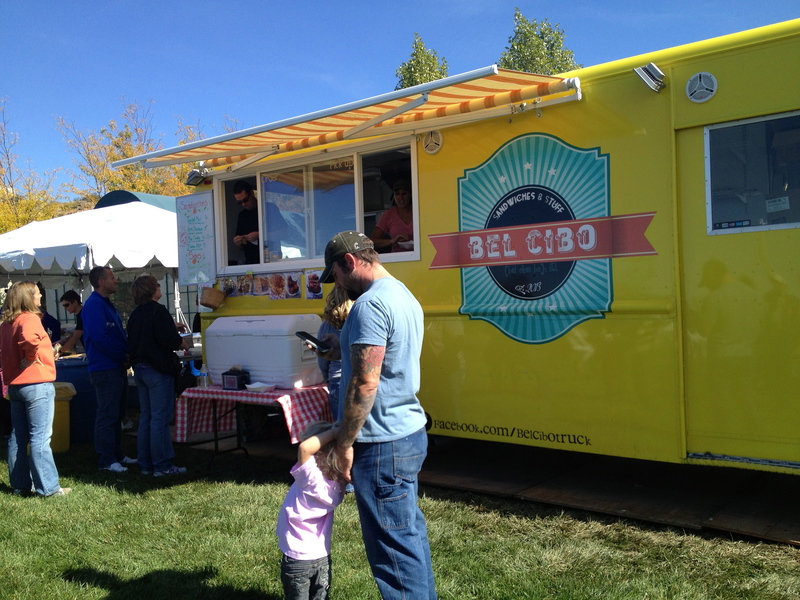 I stood in line at Bel Cibo waiting for a sizable grilled cheese sandwich (Yum!!!) . . .
while talking to a pumpkin-head lady who was a good sport and let me photograph her in the cutest costume on a grown-up! Then I joined other folks seated on the first and only grass labyrinth I’ve ever seen to enjoy the food, sunshine, and local band performing under the tent. I took a leisurely stroll on a serene pathway . 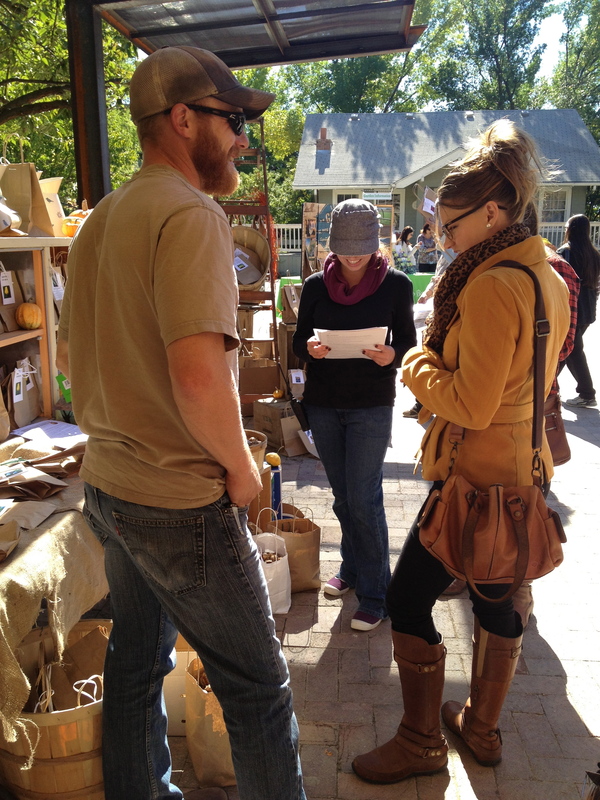 . .
and then watched this couple contemplating which nicely packaged bag of bulbs to take home. Couldn’t resist ending my day photographing a family making memories at one of Boise’s premier fall celebrations. 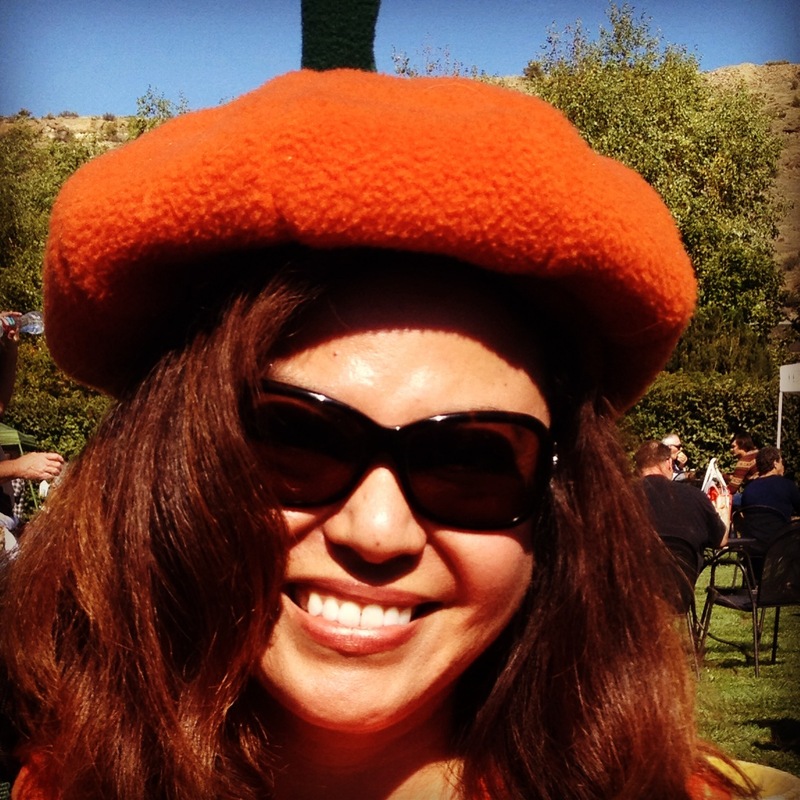 With good food, great weather, interesting vendors, and an absolutely lovely garden outfitted for the season, it was a great day for a most enjoyable Fall Harvest Festival! For more on our adventures in Idaho, Washington, and Montana, check out the page on Inland Northwest at the top of this post. 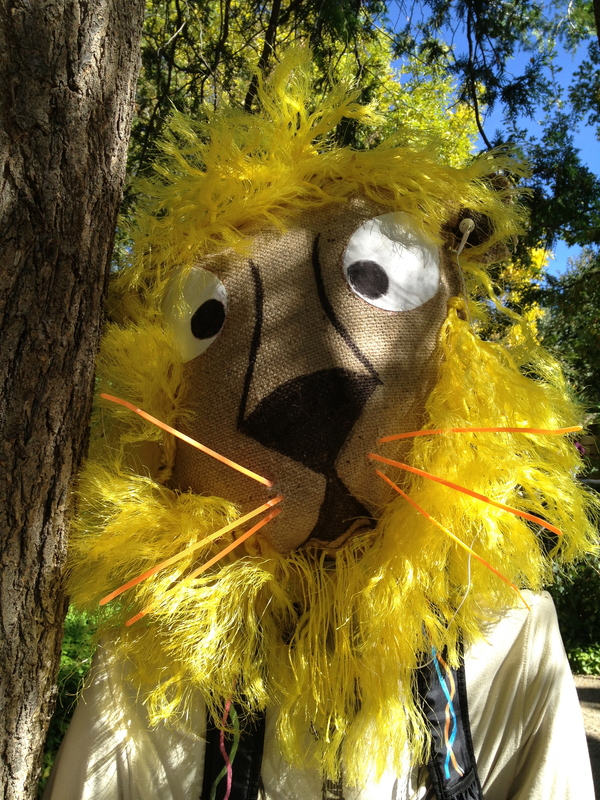 This entry was posted in Festivals, Gardens, Idaho, Travel and tagged Bel Cibo, Ben's Bells, City Peanut Shop, Idaho, Idaho Botanical Gardens, Kelley's Canyon Orchard, Old Idaho Penitentiary, scarecrows. Bookmark the permalink. 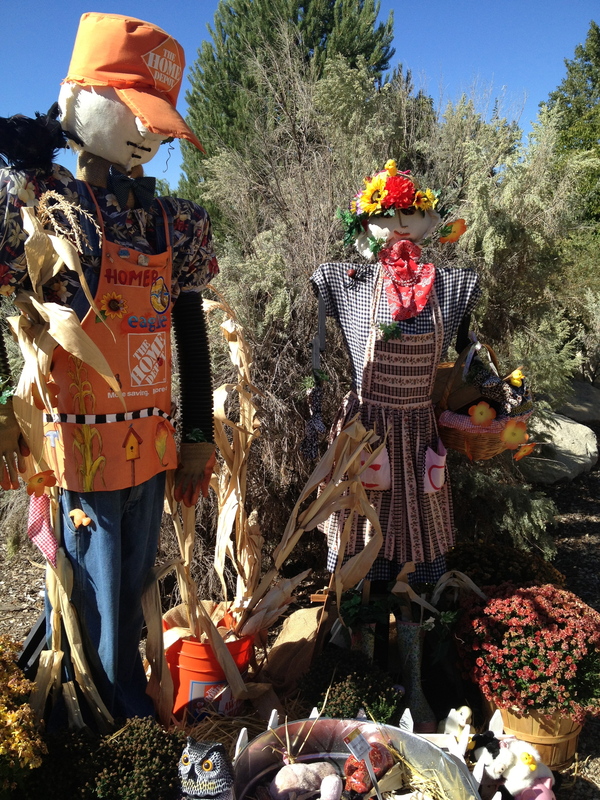 15 Responses to Boise’s Botanical Gardens ushers in fall with festive affair! Pingback: Discovering Boise: Old Idaho Penitentiary | Oh, the Places We See . . . This is one of my favourite places on the planet…and I have never been there during an autumnal festival. Thanks for the tour through your lens, Rusha! Thanks! The folks who sponsor/promote this place must be a class act! Everything was wonderful from food to decorations to activities! Thanks for taking a look! You loved the same pumpkin I did! Looks like a lot of fun. 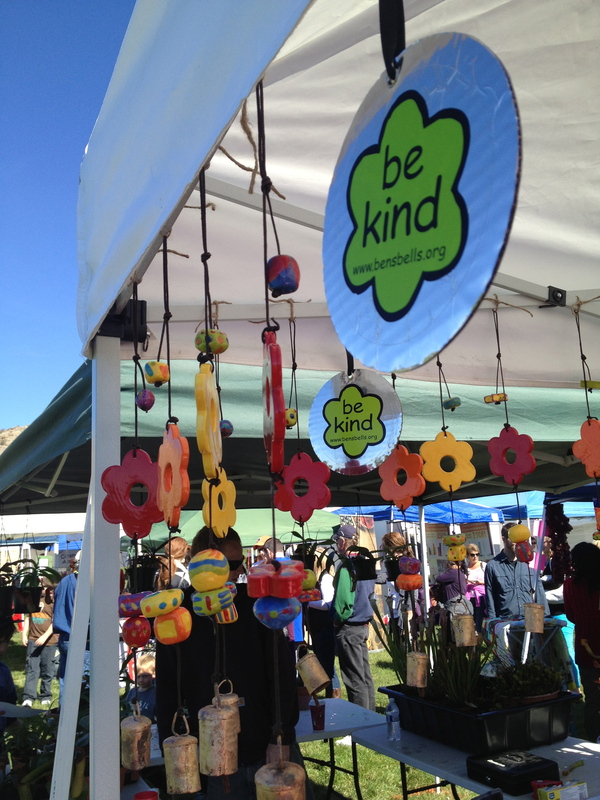 The Ben’s Bells look like quite an amazing project! It sounds amazing. And I can only imagine what it would be like to find one of the bells. Thanks for reading & commenting! 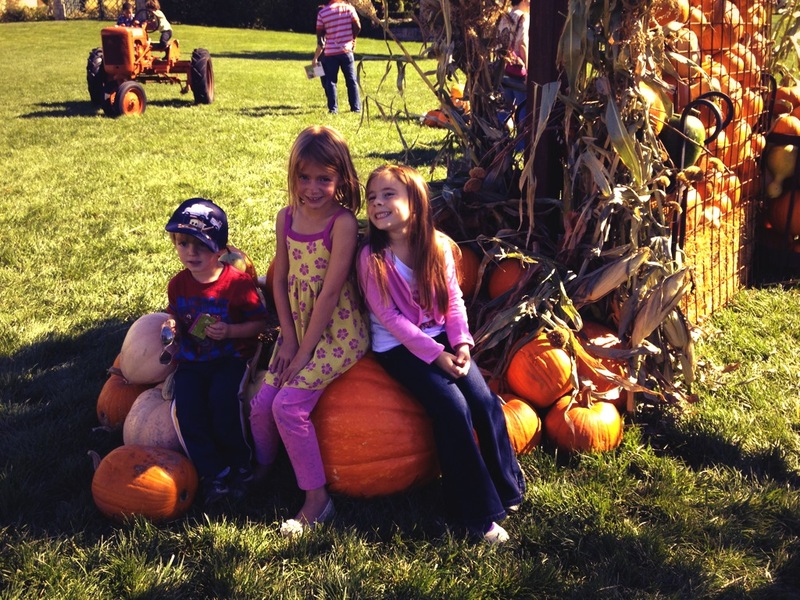 What a fall magical day you had…wish I could of been there. Gorgeous! 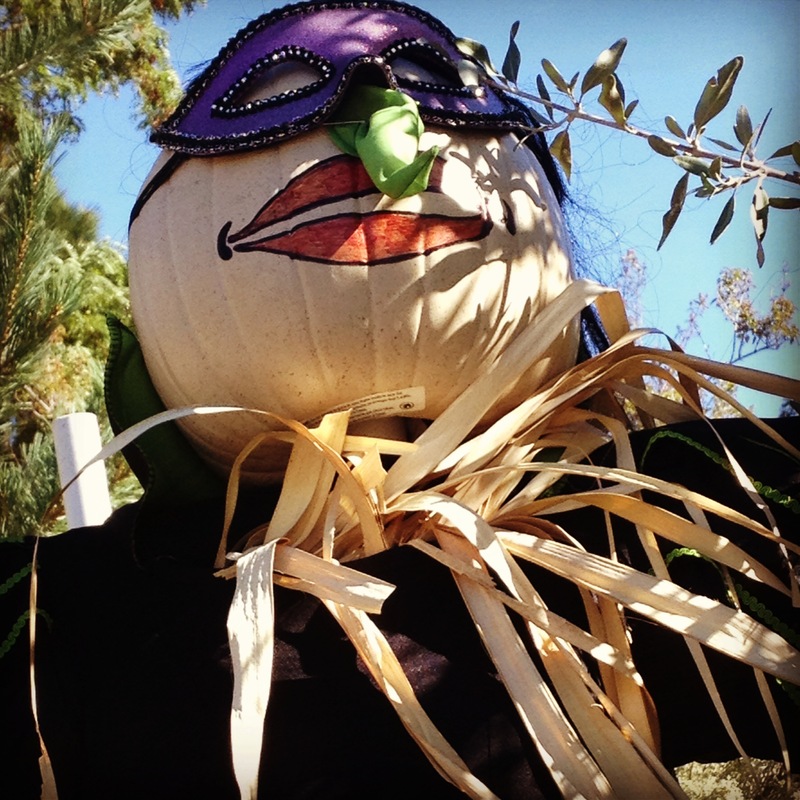 Love the pumpkin lady!!! The pumpkin lady was quite nice to let me photograph her. And, yes, the whole day was delightful! Thanks for reading/commenting! What a great place and great day! So many things appeal, love Ben’s Bells and the pizza and the wool spinner and oh so much here. Thanks so much for reading and commenting. 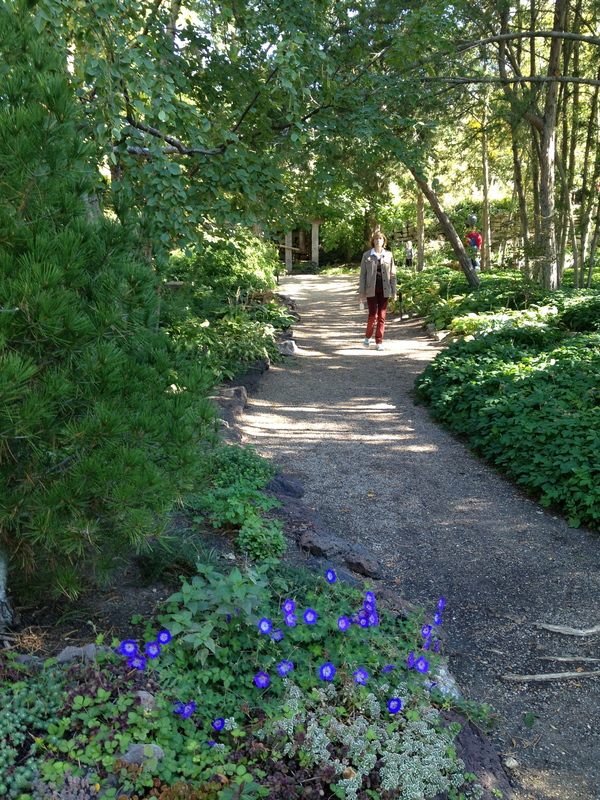 It was a lovely day at the Botanical Gardens, and I hope to return. Wait — this is October in Boise? Where’s the snow? The heavy coats and boots? Are you sure you were in Boise? LOL Great photos and a fun time! OMG! You’re scaring me! I have to go back to Boise in December, January and February!!! Better shop for boots, right? I would’ve love to go there too! Thanks for sharing this! You are so welcome! It was a fun afternoon!